Hi there. and welcome to my journal. TOU and stuff like that are on my profile page. Welcome back to Calypso Island! 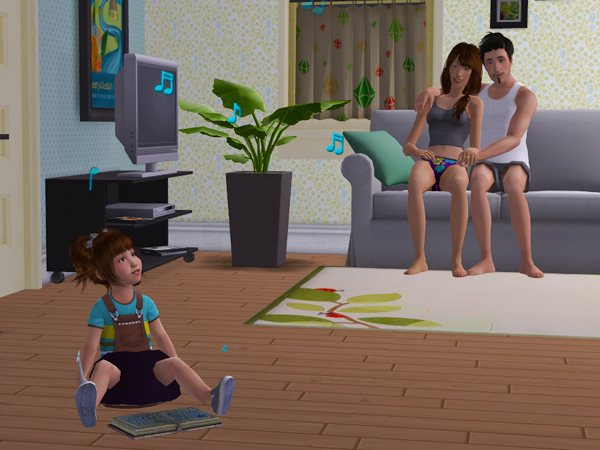 Last time we saw her, Lily was spending a lot of time alternating between Mayor-in-training and trying to raise Kieran. There wasn't much time for anything else, or so it seems. 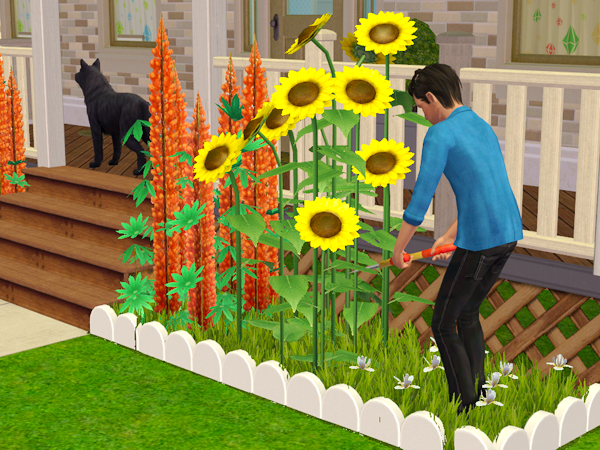 By the end of the week, she had fallen in love with Lee Marlen and he had moved in with her and Kieran. His friends, and Milo in particular, jokingly called him a gold digger, or "Mrs Mayor's Boy Toy". Lee called them jealous. Sure, the was a big age difference between him and Lily. 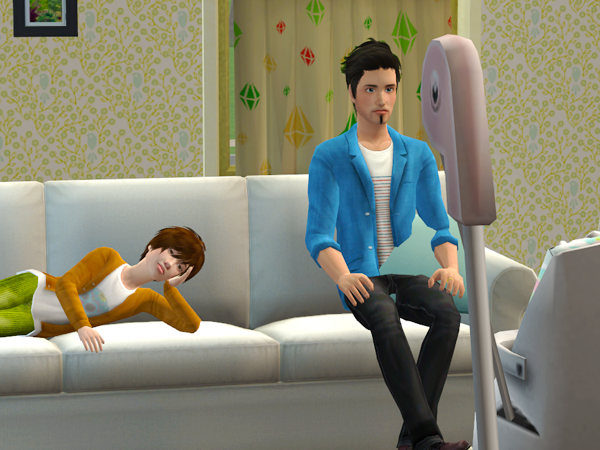 Lily was closer to retiring than she'd liked to admit and Lee had only just reached adulthood. But to him, she was a fascinating, beautiful woman and he was lucky that she wanted to spend her life with him. He really did love her. And Lily really loved Lee. He was such a nice and dependable guy. He wasn't as passionate as Kevin had been; he greeted her with "Hey, how was work?" instead of fierce make-out sessions, but Lily didn't mind. In the end, all of Kevin's passion had left her with nothing. Well, almost nothing. Regardless of what happened between her and Kevin, she would always be grateful for Kieran. 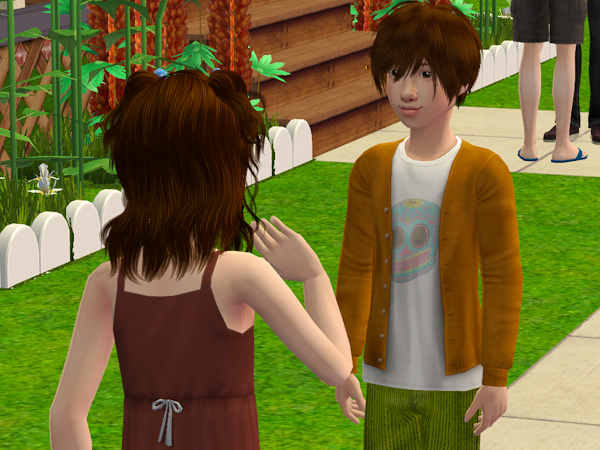 Kieran really wanted to be good friends with his half-sister Amy. He invited her over almost every day. 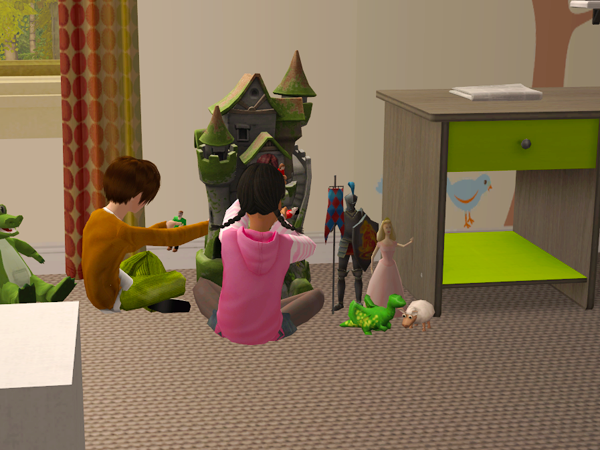 Lily tried to remind them that there were other kids on the island to play with, but Kieran preferred Amy. They spend the afternoon together, playing Marco Polo in the pool. 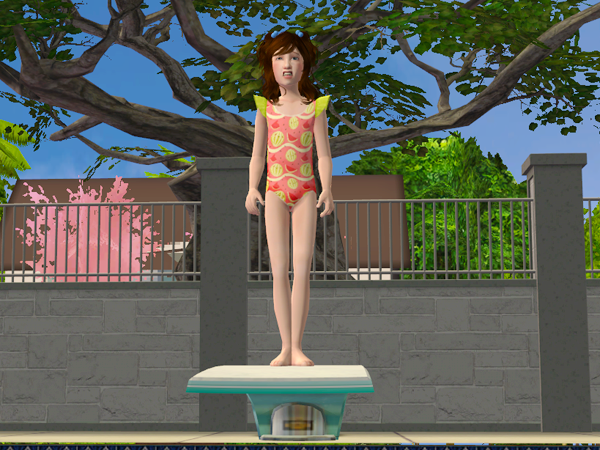 Kieran tried to convince amy to use the diving board, but Amy thought it was way to scary. "Thanks for inviting me, Kieran." "Oh, that's okay. Maybe next time I can come over to your place to play?" "Uhm, I'm not sure. Dad says he doesn't like to have many people over. He says it's too crowded, with Ethan and Emma and all." Inside, Lily was in for a surprise. "Kieran, Lee and I have a big surprise for you. But it's also a big secret. We don't want anyone to know yet. Can you keep a secret?" "Sure! I promise not to tell anyone! Not even Amy!" 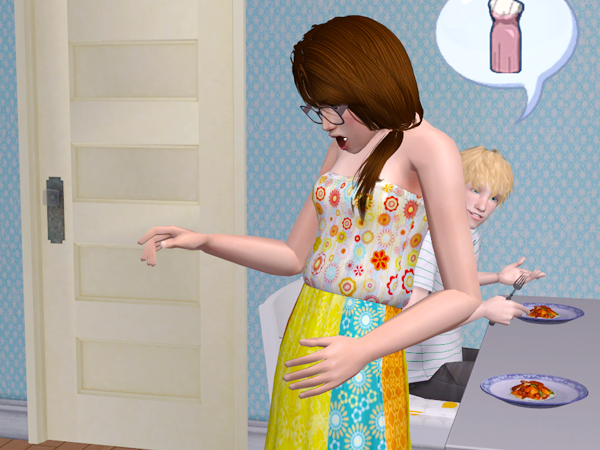 "Well, you're going to have a baby brother or baby sister really soon." "So, Lee, where are you and mom going to get my baby brother? Can I come?" After breakfast, Lee had another surprise. "Lily, I've been thinking about it and now is as good a time as any. Will you marry me?" "So, tell me love, do you want a big fancy wedding? On to put the Morgan wedding to shame?" "I've actually been thinking about that. When I was engaged to Kevin, I wanted a big fancy wedding. With a dress and a party and a cake. But now, I don't really want that anymore. I'd be perfectly happy with just you and me." "Then that's how we'll do it." And so they did. 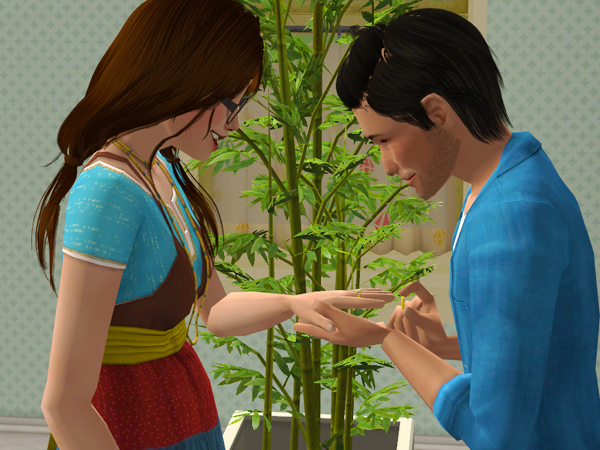 In their own living room, with Kieran as the only guest, Lily and Lee exchanged rings and Lily became Lily Marlen. It was one of the best nights of her life, but one of the worst too. Not everyone can say they got robbed on their wedding night. 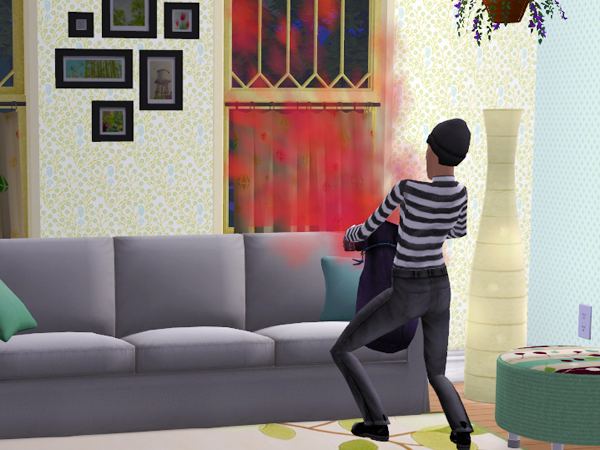 The thief didn't take much, just the couch, the rug and the TV. She got away before the police got there. Kieran spend the better part of the morning moping around complaining about the stuff that was missing. "Oh sweetie, it's okay. Luckily we have enough money to buy replacements right away. It's no big deal." 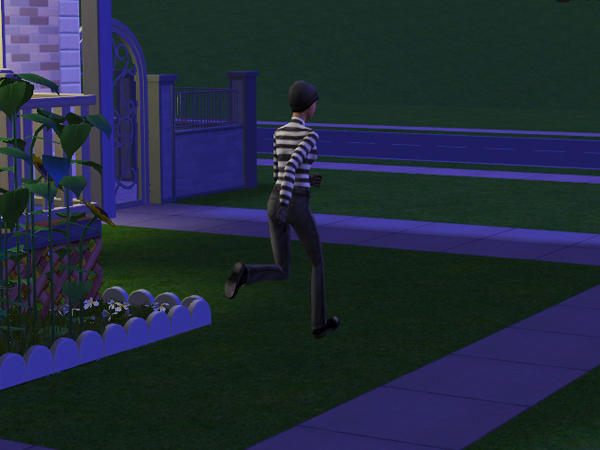 "Mom, I want a burglar alarm." "I'll discuss it with your uncle Jake." 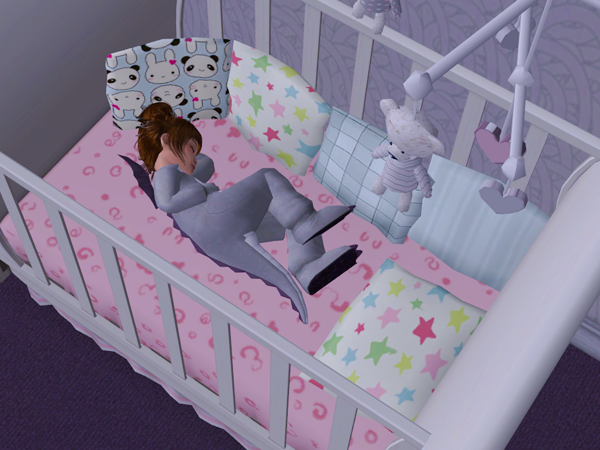 That afternoon, Lily gave birth to a little baby girl. They named her Lynn. The next morning, Lily returned to work. Lee tried to convince her to take some more time of, but Lily insisted she had a lot of work to do. 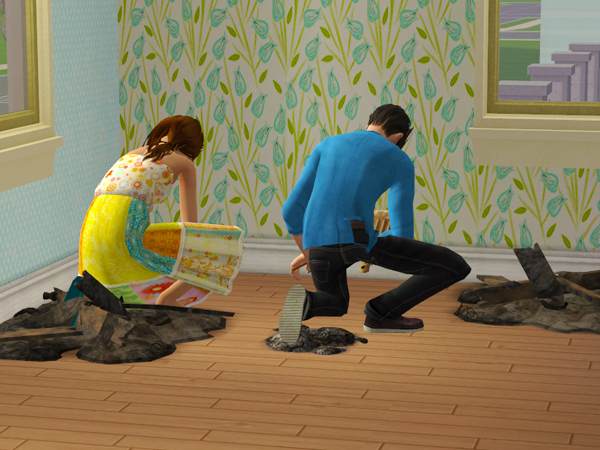 So Lee tried to make himself useful around the house. "Lee, babies... are really boring. Did you know that?" "They're not. And once she grows up, you'll get to play with her." "I hope she hurries up." Lily came home with some really big news. 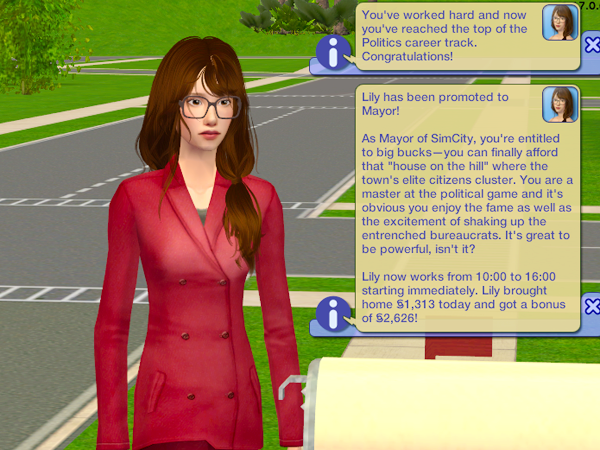 She had been promoted to Mayor. This meant a lot of new possibilities for Calypso Island. She was going to have to make a list, and maybe call a town meeting. But first things first. Lily had a few days off and she decided to go and do something fun with Kieran. They went to the beach. it was nothing fancy, nothing like the beaches of Twikkii Island for instance. But it was a good place to spend an afternoon and unwind. Lily and Kieran build a sandcastle together. And the went for a swim. Kieran met one of the other kids his mom had been talking about. 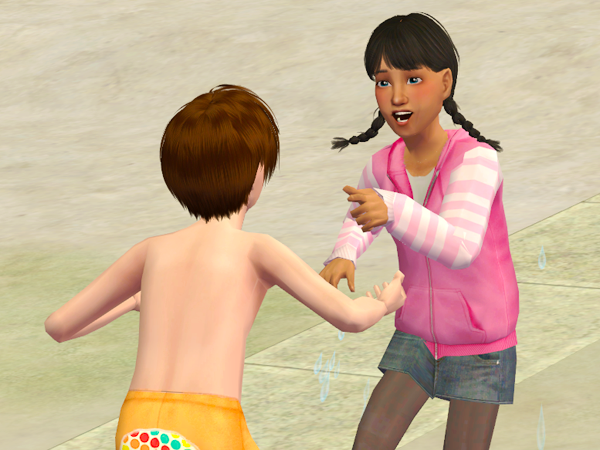 While Lily was sunbathing, Kieran and Rue had a water balloon fight. 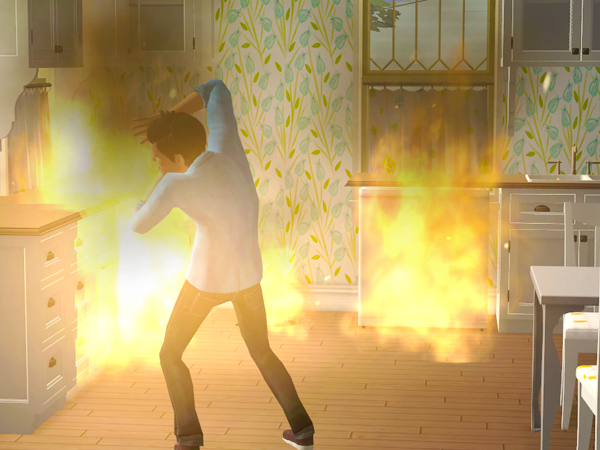 While Lily and Kieran were out, Lee tried to cook himself some lunch. It didn't go well. And it quickly got worse after that. Finally, Lee gathered his wits and rushed Lynn to safety. The kitchen burned down almost completely. Lee had never been happier to see Lily. "Uhm, hi Lee... Are you okay?" "Lil, don't get mad okay? Lynn is fine, I am fine." 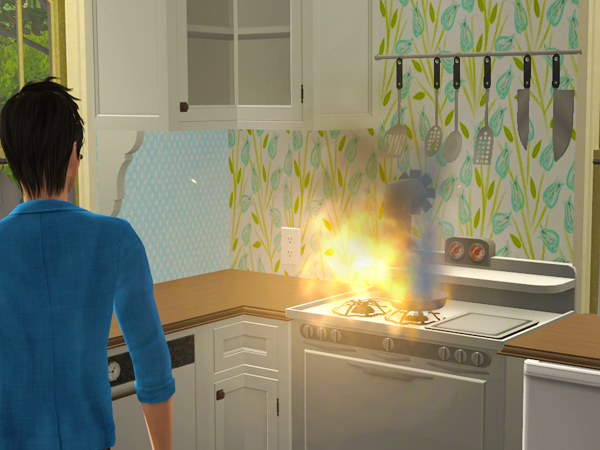 "Well, there was a little accident in the kitchen. "Yes dear. 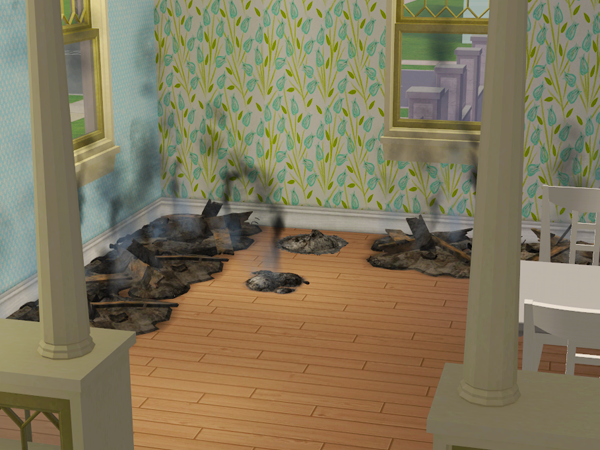 I may have burned it down. A little." "Are you kidding me?! 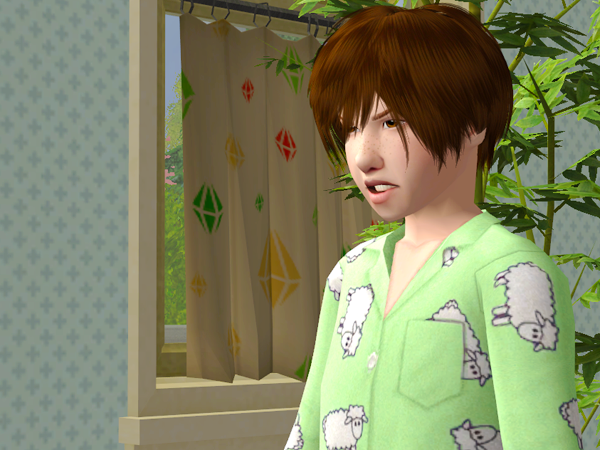 Are you telling me I can't leave my grown-up husband alone for one afternoon?!" "I'm really sorry. It won't happen again." "Damn right it won't! Because you will not be cooking anymore!" "... I'm glad you didn't get hurt." After they cleaned up the kitchen, it was time to celebrate Lynn's birthday. Sunday morning, Kieran invited Rue over to come and play in the pool. She ended up staying the whole day. "You don't really look like your dad." "My mom says I look a whole lot like him." "Well, your mother does need those glasses I guess. You don't look a thing like Mr Marlen." "Lee isn't my dad, silly." "Nope, my dad is called Kevin Morgan. He doesn't live here." "My dad knows a Mr Morgan. He doesn't like him much." "My mom doesn't either. But she says he likes me a lot." "Of course he does. I like you a lot too! You're really nice." "I think you're nice too!" And so Kieran made another friend. Rue had to go home after that, but promised to invite him over to her place sometime after school. Yay update! *coughs* That's one SimYear played for Lily. And I would have never guessed she would end up where she is now XD But she is happy and Lee does seem like a great match for her. Congrats to Lily on making it through an entire year! 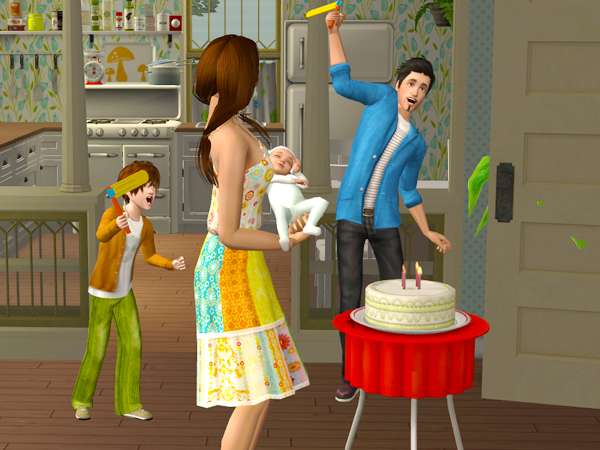 I'm happy to see her happy with her little growing family. As fun as drama is, it's nice for them to settle into nice lives as well after a while. 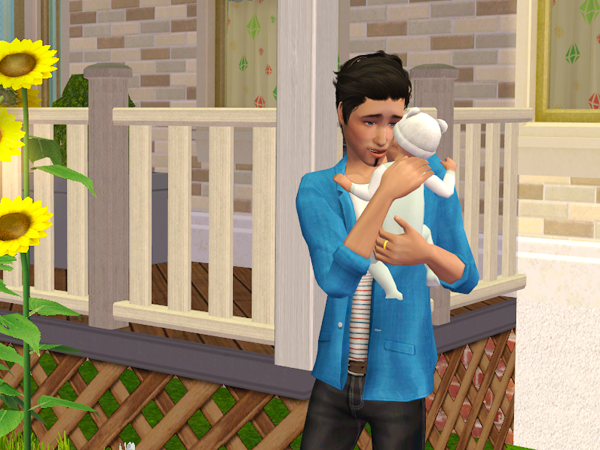 Although I wonder if some more issues may arise with Rue's dad when she brings Kieran home with her... I'll have to wait and see! Woo what a busy week! Lynn is a real cutie and its nice to see Kieran making new friends. I'm sure Lily is pleased about that.